In the 1960’s the inhabitants of Tolima witnessed the emergence of the first self-defense groups, helped by the Army, which 20 years later, formed an alliance with the drug traffickers arriving in the department from Valle and Antioquia. However, it was only at the end of the 1990’s that the two main paramilitary groups arrived in the region : the Bloque Tolima of the AUC and the Frente Omar Isaza of the Autodefensas del Magdalena Medio (ACMM). The population of Tolima suffered widespread attacks perpetrated by paramilitaries in complicity with the State. According to the report Basta Ya by the National Center for Historical Memory, from 1988 to 2006, 22 massacres were perpetrated by paramilitary groups and at least 3 of them were committed with the help of the National Army. Joint operations were led with the VI Brigade of the Army and five soldiers from the Contraguerillas Pijao Battalion were condemned for their direct implication in the Cajamarca massacre. These crimes left 133 fatalities and thousands of displaced people. Tolima was considered as the department which received the most displaced people due to violence. This context led to a critical humanitarian situation aggravated by the permanent presence of paramilitary groups. In the last years, thanks to the collaboration between victims and the organizations of the chapter, the reactivation of different modus operandi has been proven, these modus operandi are aimed at strengthening the paramilitaries territorial control. Moreover, in the zonas veredales (demobilization areas), specifically in the Oso area, human rights violations occurred. They consisted in targeted murders, extortions, cattle theft (livestock rustling) and internal displacements (intraveredales). In its report the Programa Somos Defensores detailed : “Tolima registered a really low aggression rate in 2016 and in 2017 the violent acts escalated”. 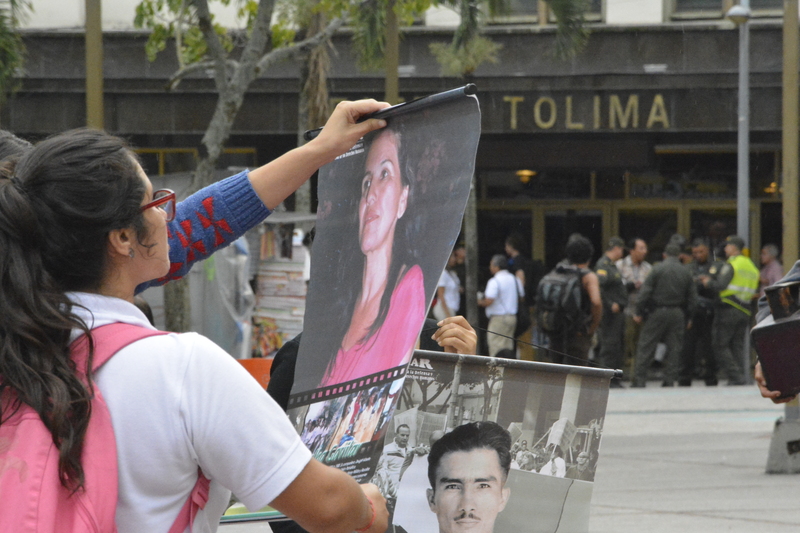 The Tolima chapter is mainly constituted by the following organizations : Central Unitaria de Trabajadores (CUT), the Comité de Solidaridad de los Presos Políticos (CSPP), the Congreso de los Pueblos, the Asociación Nacional Sindical de Trabajadores y Servidores Públicos de la Salud y Seguridad Social Integral y Servicios Complementarios de Colombia(ATNHOC), the Mesa Municipal de Víctimas, Fundacion Proteccion Colombia de los Derechos Humanos (Fundacropol), Mesa Nororiental de Organizaciones, Mesa de víctimas de Líbano, Asociación Agroambiental Colombiana Camilo Rodriguez Restrepo (Asacol) and Corporación de Derechos Humanos Gustavo A. Marulanda (CORPOGUAMA).